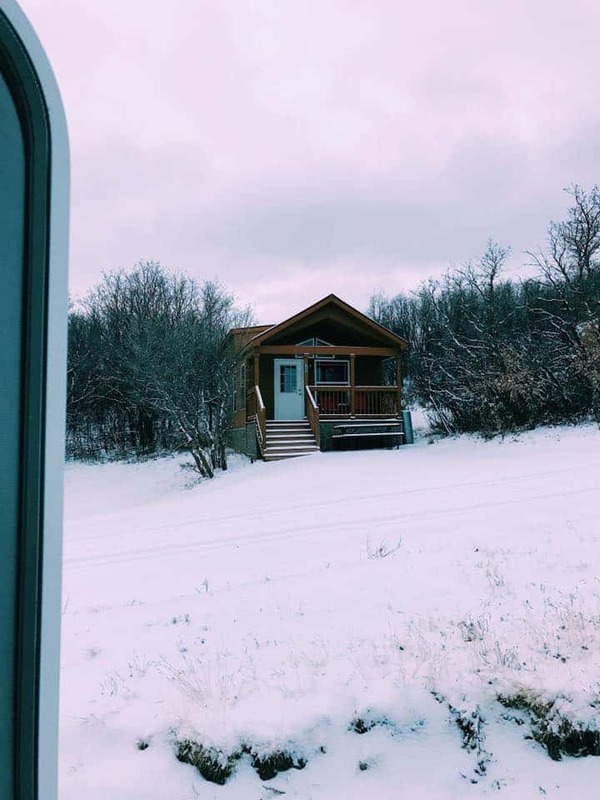 So, you’re RVing and loving it, but you want to book an Airbnb for one reason or another (a little personal space anyone?). What does one do with their RV while staying at an Airbnb? There are several options to consider. Are you new to Airbnb? Get a $40 credit by booking your stay with our link. 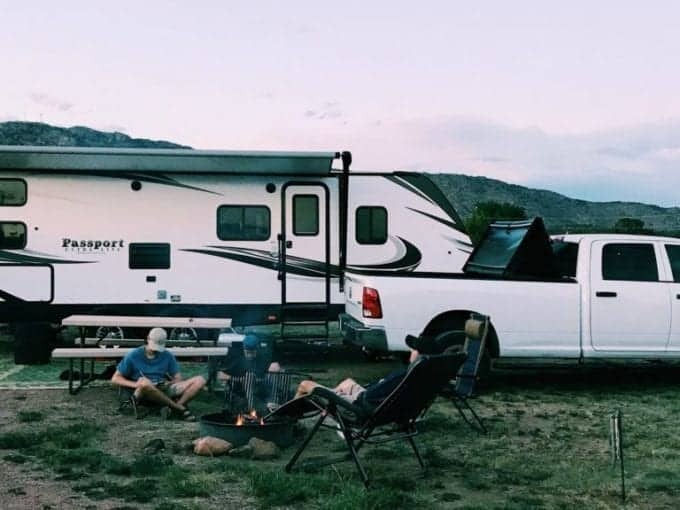 Before we dive into the options for storing your RV, you might be wondering why someone would choose to stay at an Airbnb while RVing in the first place. All I can speak to is why we’ve done it several times. We’ve stayed at an Airbnb a couple of times just for the sake of some breathing room. Most of the time it’s just four of us traveling full-time because our oldest daughter is in college. She’s with us during the summers, as well as her winter and spring break. When she is with us, space gets a little tight and our 26ft. travel trailer feels super small. Plus, Hannah sleeps either on the dinette or the fold-out couch (she found out this summer that the couch is way more comfortable), which means she has to put together her bed every single night, while the rest of us just crawl into ours easily. Setting up her bed night at night, week after week, can get a little annoying. 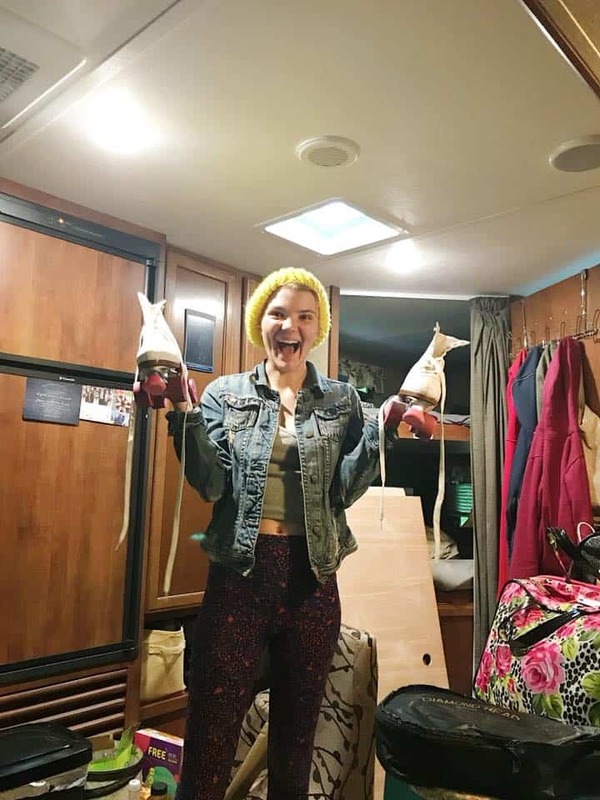 Plus, living in an RV is not her favorite (who can blame her?!) and every once in a while, it’s nice for all of us to have some breathing room and for Hannah to have a “real” bed to call her own. The other reason we stayed at an Airbnb was that our water lines froze. We decided it would be super cool to stay in Denver, Colorado for the Christmas holiday. We’ve lived there before, we have family and friends there, plus more family was flying in from both the west and east coast – we wanted to see them all! What we didn’t anticipate were the extreme temps. We’re talking teens and single digits (sub-zero windchills!). We found ourselves a few days before Christmas with no water, so Airbnb came to our rescue! We found a place to stay at the last minute and stayed there for about a week. Yep, we spent Christmas Day in an Airbnb which was basically someone’s bachelor pad. Thankfully he was traveling during the holidays, so we had a place to stay. This is definitely a Christmas we will always remember! 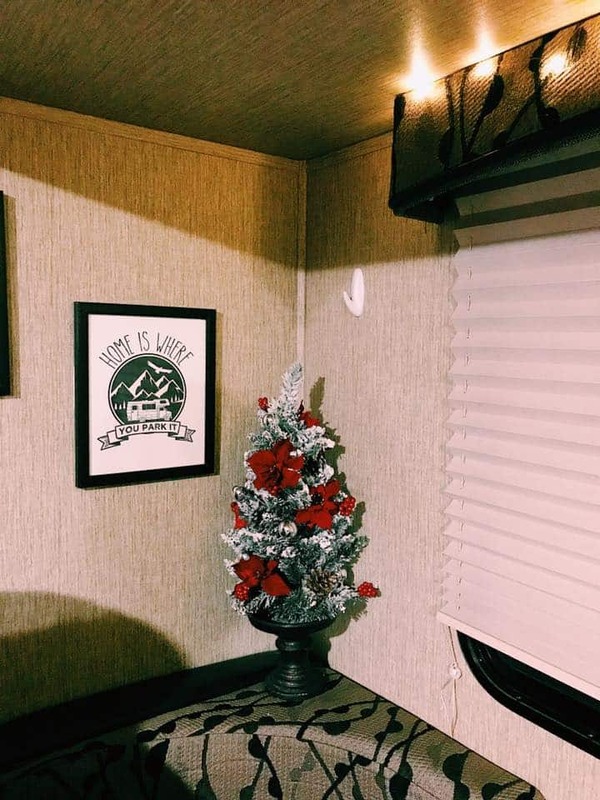 We brought our RV Christmas tree to the Airbnb since the place wasn’t decorated for Christmas. And yes, Santa put presents under this tree because size doesn’t matter to him. 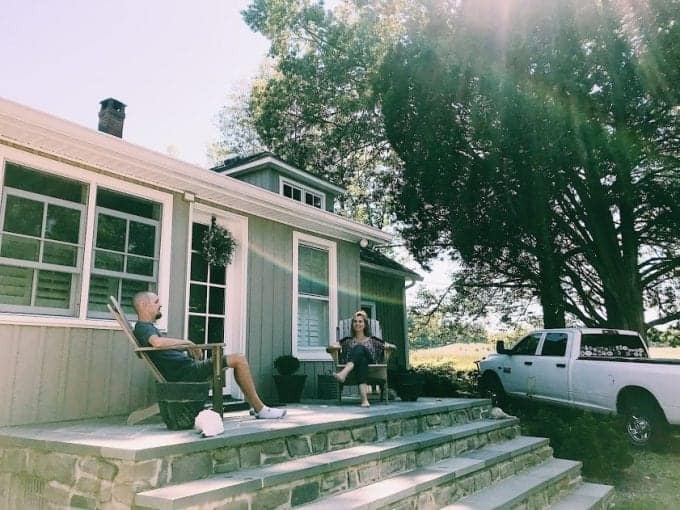 We’ve heard of other full-time RVers who wanted to experience the city life and opted to stay at an Airbnb in the heart of New York City. We almost did this while planning our trip to NYC, but found an RV park in the perfect location. You can read my “Guide to RVing Near New York City” to see where we stayed and what our experience was like. 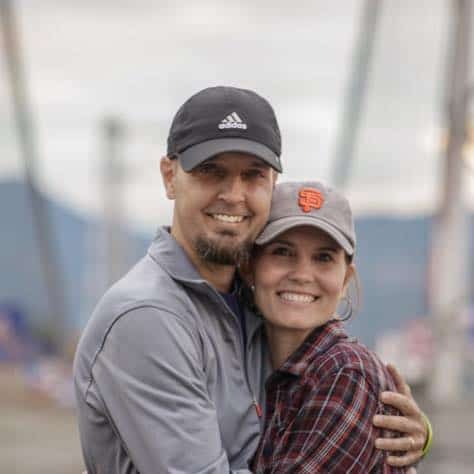 We also found an RV park in San Francisco that we really enjoyed and were able to experience an incredibly fun time soaking up the city without having to book an Airbnb. Just know that these city RV parks are usually much more expensive than your average park, but they do exist. And they are almost always less expensive than an Airbnb. 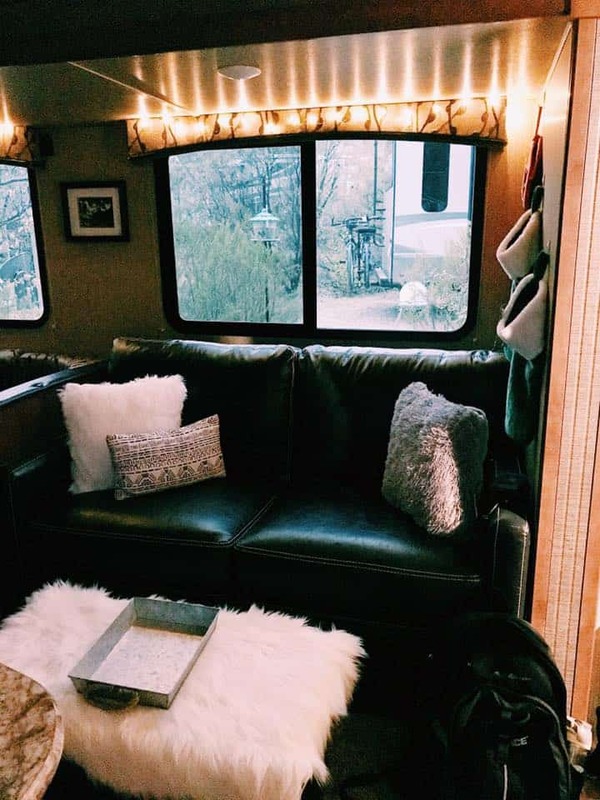 Now that we’ve covered why you might want/need to book an Airbnb while full-time RVing, let’s talk about what you do with your RV. This is my favorite option because it’s incredibly convenient. You have all of your belongings right out the front door of your Airbnb, which means there’s no need to pack. Who hates packing as much as me?! While staying in Maryland for a family wedding, we booked 10 days at the most incredible Airbnb we’ve stayed at yet. It was within walking distance of the Chesapeake Bay and she had kayaks for us to use, which we did. The home was just beautiful and our host was so nice. I gave a small tour of this home in Episode 3 of TREKKN. You get to see the inside of the Airbnb, as well as see the walk down to the bay for some kayaking. After we booked our stay, Todd wrote our host asking if there was any possible way for us to park our RV on the property. Thankfully she said there was and it fit perfectly in the driveway. So for 10 days, we had the luxury of more space, a beautiful destination and all of our belongings right out the front door. Every morning, I walked out the front door and into the RV to grab some clothes. Easy peasy. When we woke up one morning and had no water in Colorado because everything froze, we decided to leave the RV at the park hooked up to electric and sewer. This gave the lines a chance to thaw and for Todd to fix our broken water pump. BUT, before you book an Airbnb and decide to leave your RV at the RV park, you MUST ask the park if that’s okay. Some RV parks we’ve stayed at have had strict rules about leaving your RV unattended for the night and would even charge you a fee if you did so. Again, always ask the park before you book an Airbnb if this is even an option. Thankfully in Colorado, they had no issues with us leaving our travel trailer there and even sympathized with our situation. It was a crazy and stressful time, to say the least. But it made for some great family memories. This is an option we haven’t done, but we know some who have. Quite a few RV parks have storage lots on their property and will let you store yours there for a fee. Some might have electrical outlets for you to leave it plugged in, but some might not have anything. Just know that if you plan on leaving your RV stored without an electrical hook up, you’ll need to bring the items in your fridge and freezer with you. Also, if you’re in a hot climate, you might need to bring your pantry items with you as well. Another storage option is storage lots. You just might find one in the area you’re staying at that would allow you to leave it for shorter than a month. I can’t speak to this because we haven’t tried it, but it’s worth a phone call to a local RV storage facility to find out. 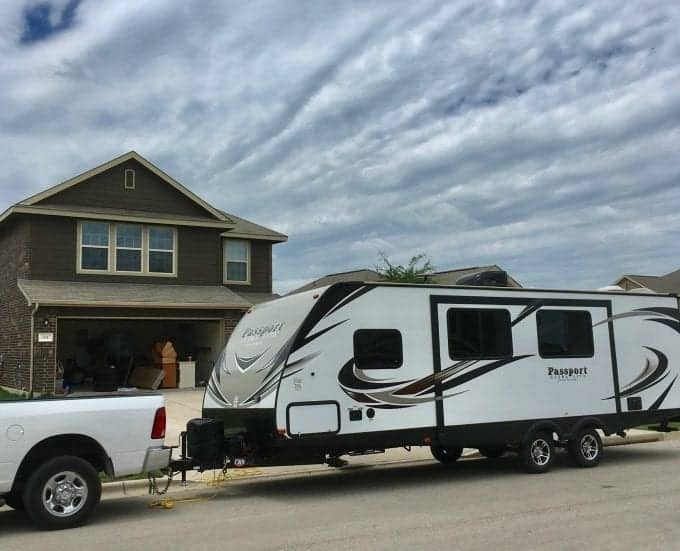 We hope these three options have helped you in your planning for staying at an Airbnb while traveling via RV. It really is a fantastic option for a short break from tiny living.